We here at Baba Ghanoush enjoy a variety of artistic endeavors besides belly dance. Amy Fae enjoys writing children’s stories and blogging, while Alizarin is an extremely talented illustrator and portrait painter by day (check out her work here) and keeps her eyes out for visual art events and venues. Two years ago, Alirazin displayed her naturalist portrait series at Frederick, MD’s first Artomatic event, and when the opportunity to participate in this year’s event arose, she signed up. Alizarin in Frederick. Photo courtesy of Yenra Photography. Artomatic events have a lot going for them. They are non-juried displays of art in interesting, temporary locations. Basically, there’s a whole lot to look at, and their events are all free and open to the public. Besides visual art, they host music, theater, and dance acts, and even workshops. That’s right – dance acts! Two years ago, Alizarin secured a performance spot for our parent troupe Aubergine. This year, Baba Ghanoush applied to Artomatic for a spot of our own, and invited our favorite duet friends Cypress to join us. Cypress. Photo courtesy of Yenra Photography. The evening started around 5:00 pm on September 25th, when the amazing Ken Morrill took us on a Frederick Photo Adventure Tour (or Photo Follow-along – we haven’t settled on an official term yet). We wandered from the Artomatic site, across the street, down some alleys, past the public library, stopping every few hundred feet for photos. We’ve included a couple of our favorites in this post. Between photos, Ken told us about Frederick, past and present – like how George Washington, before he was even a general, laid down mile markers on the road west (Old Route 40, I believe), which are still standing along one of Frederick’s historic main streets, and how the city has planted a new water garden behind the library. If you need a photo shoot for any reason, Baba Ghanoush and Cypress both highly recommend booking a Frederick Photo Adventure Tour with Ken – he is full of energy, information, and takes magnificent photos all along the way! Amy Fae. Photo courtesy of Yenra Photography. 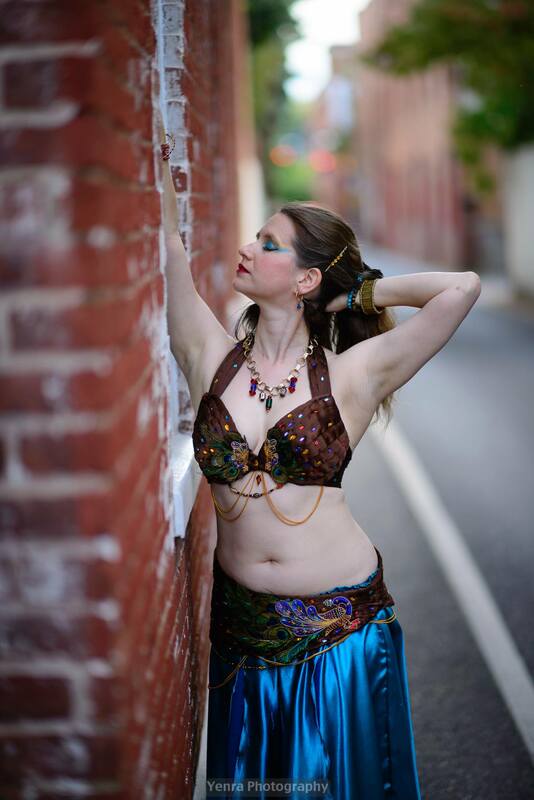 When we finally made it back to Artomatic, we went to check out our space – and met with what could have been a belly dance nightmare. A smaller stage had been set up in front of the stage we thought we were going to be dancing on, and the larger stage was covered in ladders and band equipment. The small stage was carpeted, and a pretty big step up from the floor, and didn’t have any wings or backstage spaces for dramatic entrances. We didn’t let it throw us too much though – we’re all used to adapting our performances to the space available. When we found out that we didn’t have a dedicated sound person and sound system, though, we started to get a little worried. We were performing in what used to be a school gymnasium, and my little iPod speaker just wasn’t going to cut it. Fortunately, the instructor from the salsa dance workshop before our performance had stuck around, and was more than happy to lend us his boom box with iPod hook-up. “Our show’s about an hour long,” we told him. He said he didn’t mind the excuse to stay and watch. In the end, the show went swimmingly! BG and Cypress both presented a number of duets and solos, representing a wide variety of music and dance styles, including American cabaret, cabaret fusion, tribal fusion, and finishing with all four of us dancing a more traditional karsilama number from Aubergine. The crowd was intimate and supportive, and every time I looked at our new friend Louis in the audience (second row, center – he stuck around after the dance workshop), he was beaming at us or looking stunned by what we were doing, and I couldn’t help but smile back at him. And Ken kept snapping photos – you can check out performance photos here! So a huge thank you Artomatic for hosting us, to Cypress for joining us (we love collaborating with them! ), to Ken for the amazing photos, to our dance workshop friends who saved our sound butts and stayed for the performance, and to everyone who came out to support us! Baba Ghanoush. Photo courtesy of Yenra Photography. 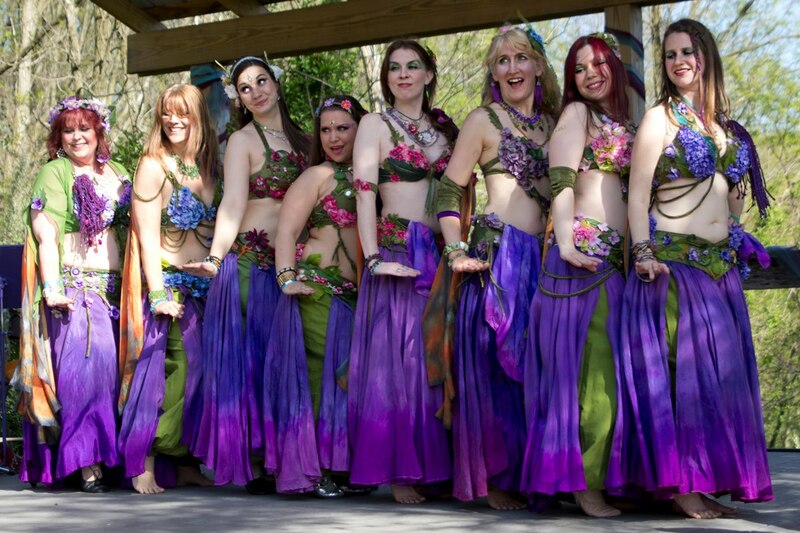 You can next find Baba Ghanoush at the Delaware Drum and Dance Hafla on November 17. 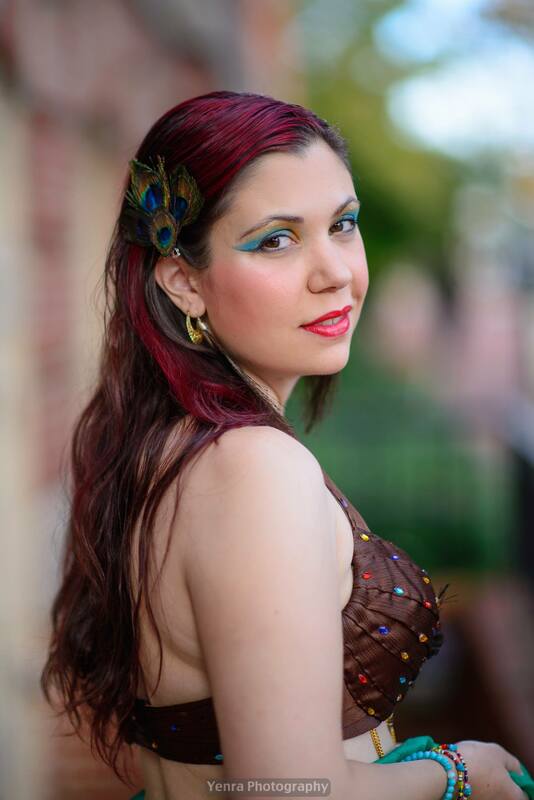 Amy Fae and Alizarin are also both soloing again at Kitchen of India in Parkville, MD – every Friday at 8pm, a dancer from Aubergine performs while you enjoy delicious Indian food. Check it out! A strong Baltimore dance community that maintains high standards of professional conduct and local dancers that are willing to share advice and experiences. Our Aubergine troupe family of fun-loving, interesting, wise women of diverse life experiences. Each other: Baba Ghanoush dance partners with compatible communication and working styles, and complimentary dance skills. 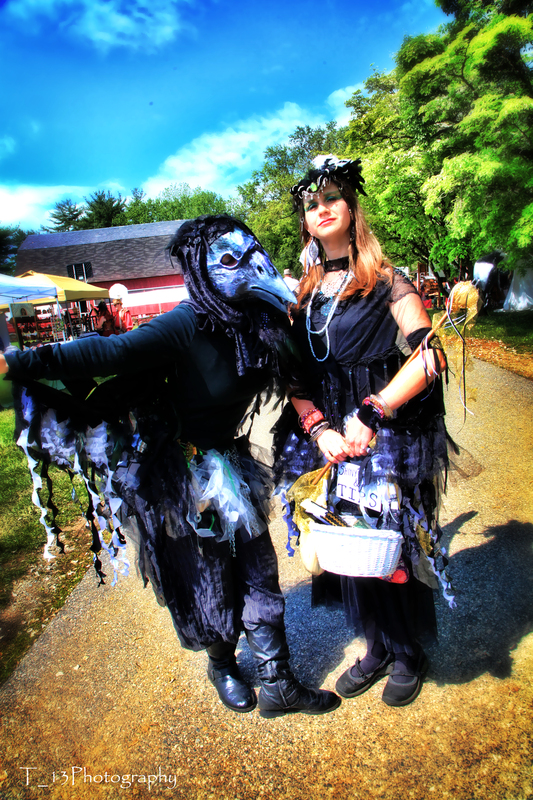 Local events like the Inappropriate Halfa, Dance Your Heart Out, the Java Hafla, Goblins & Gears. Our duet sisters, Cypress, who helped us put on an amazing show while raising money for House of Ruth, Maryland. Supportive significant others, parents, friends, and fans. Glitter and sequins. And more glitter. BG will appear in Mariza’s Belly Dance Showcase at Theater Project in Baltimore on October 5. We’re stepping out of our comfort zone and tackling a Suhaila Salimpour choreography for this one. 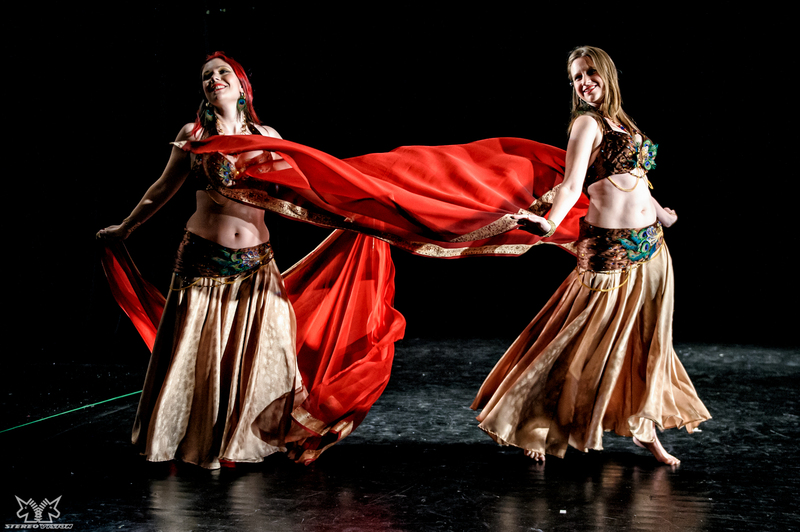 Other featured performers include Barakaat and Kallisti Tribal, and of course Mariza’s amazing student troupe, Lazuli! 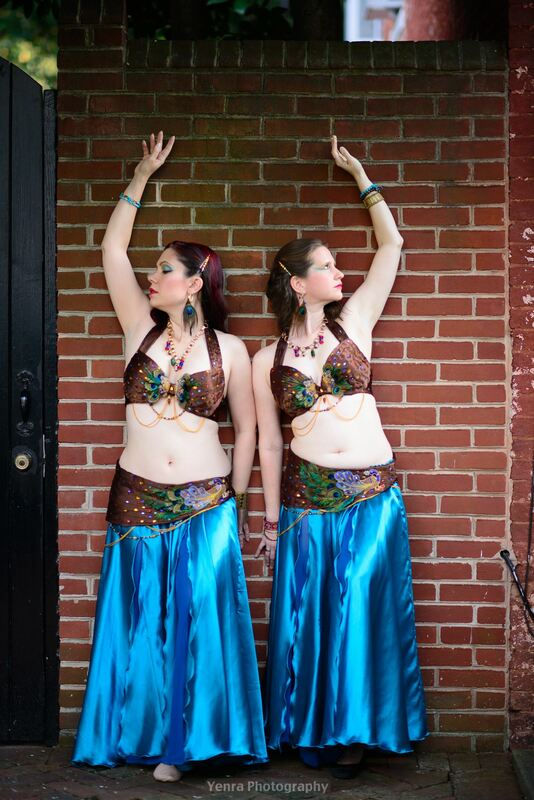 Both Amy Fae and Alizarin will be featured at the Art of Belly Dance on Sunday evenings at the Kitchen of India. Each Sunday, beginning October 14, a member of Aubergine will solo at this family friendly restaurant in Parkville. 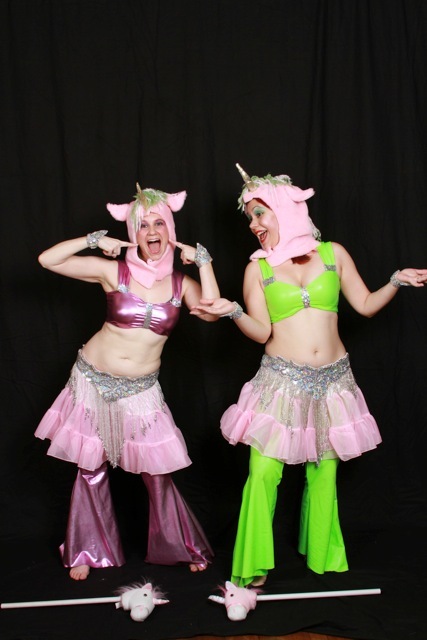 Aubergine, parent troupe of Amy Fae & Alizarin, will be performing at the 2012 Multiple Sclerosis Fantasy Ball, Goblins & Gears II on October 27. 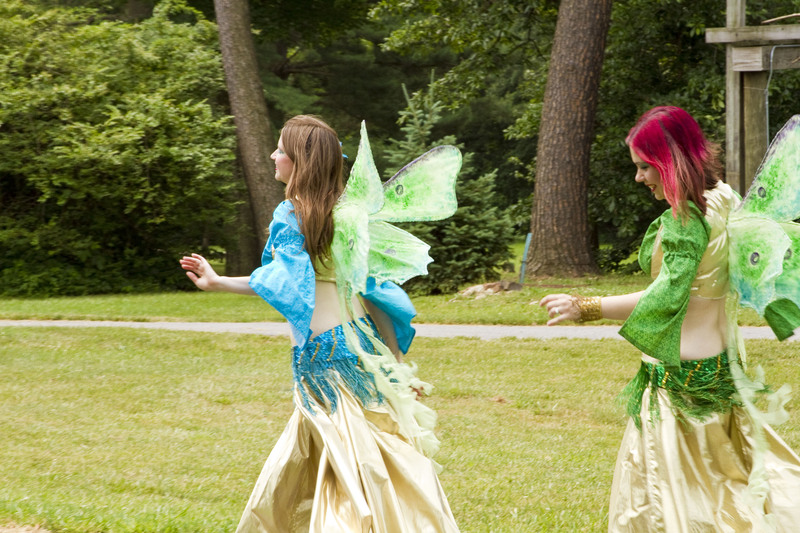 Get your favorite Steampunk or Faerie get-up on, and come support a great cause with us!